I mentioned yesterday that I was working on a new recipe, and I’m so happy with it that I feel the need to share it immediately. 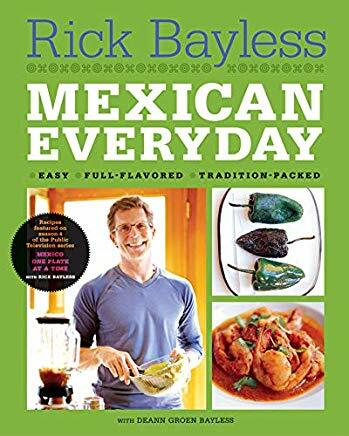 It’s from one of our favorite cookbooks (which I’ve mentioned before), Mexican Everyday by Rick Bayless. Here’s why I got so excited about this recipe. First, it’s delicious. Second, it’s pretty easy. Third, it was pure serendipity that I even thought to try the recipe, which makes it seem like a stroke of pure, lovely good luck. It’s Roasted Mushroom Salad with Spinach and Chorizo. That’s right: even though I think you should probably just get the book, you can find this particular recipe online. You’re welcome. To us, this tasted like something we’d order at a restaurant. But, like, one of our favorite dishes at one of our favorite restaurants. If you were ever a fan of the mushroom salad at Cella Bistro (RIP), it’s reminiscent of that. Except thrown onto some spinach leaves to make it slightly better for you. Really, the most time-consuming part of this recipe was washing and slicing the mushrooms. If I had noticed ahead of time that the recipe called for sliced mushrooms instead of whole mushrooms, I totally would have just bought the pre-washed, pre-sliced packs of mushrooms and cut two-thirds of my preparation time. 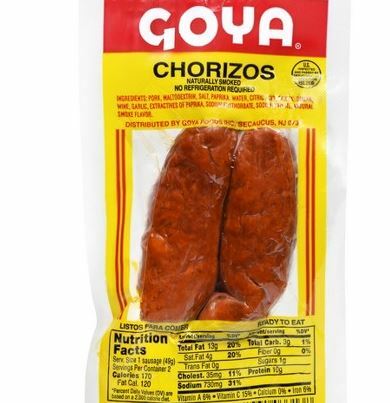 I also started out with buying bacon, because I was like, “Will the store even have chorizo?” But then it turned out that yes, Goya makes shelf-stable chorizo. I ended up dividing up my ingredients to see what version we liked best, with a little less than half roasted with bacon and a little less than half roasted with chorizo, and then some of it strictly vegetarian (because it is impossible to track where J’s head, heart, and palate will be on any given day). I recommend the chorizo, which is less greasy. In fact, I went with a low-salt chorizo, and Cute W and J both preferred chorizo, but they also wanted to try a spicier chorizo next time. If you’re strictly pro bacon and anti chorizo, I might cook the bacon separately for the first ten minutes or so, then drain it and throw it in with the rest. Also, my family needs their bacon to be done-done, so that requires more cooking. I also threw in two roasted poblano peppers. I’m an old hand at this because they’re featured in another one of our favorite recipes, and it was easy for me to roast them under the broiler while I was slicing mushrooms and chopping the onion. Then I cut them the poblanos into pieces and threw them into the pans mid-roast. Also, Rick suggested that we might want to crumble some goat cheese on top, and I always agree with the idea of adding cheese, but I bought some queso fresco because I like it better than regular goat cheese and it seemed like a good fit. All of which is a long, long explanation of my recipe tweaks that makes it sound like this is complicated, but it’s not. Crumble chorizo onto a pan, add sliced onion and mushrooms, roast it all together. Mix up a very simple dressing and throw all of it onto some spinach. Done. And why did this feel like Pure Serendipity? Well, I’ve mentioned that we love this cookbook, but it’s been at our house for enough years that I haven’t really looked at it, except for double checking our usual recipes, in a long time. When we first got this cookbook, neither of the girls would have wanted to eat mushrooms, onions, or spinach, so I never gave the recipe a second look. Now both girls love all of those veggies, and they’re particularly huge fans of roasted veggies, so when I happened to see the recipe on the page, it was like when sunlight breaks through the clouds to create a spotlight and a heavenly chorus starts singing. Incidentally, in searching for this recipe online, I found this lovely list of recipes featuring fresh produce by season, which I thought y’all might enjoy. I get really excited when I find a new recipe that’s worthy of being added to the repertoire. I try a lot of recipes that are not worth eating, much less repeating (remember this one?). Why, just today I tried something else for the first time that crashed and burned. But this salad scored one of my favorite recipe compliments, which is when Cute W emails from work to tell me how much he’s loving his leftover lunch. So: yay.